How should we think about Christian apologetics in a society where people are encouraged to discover, determine, and live their own truth? 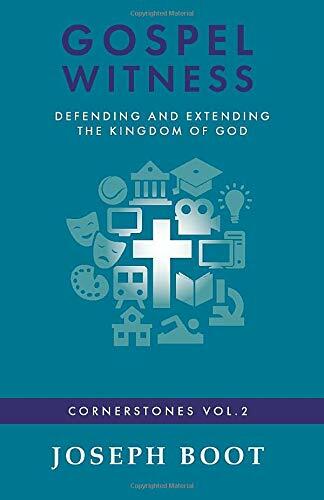 In this short book, Joe Boot explains that Christ-centred gospel witness is about getting to the heart of a person, for the root of unbelief is a heart condition, not a lack of evidence or convincing arguments. Sin has a profound impact on the heart and human understanding. Dr Boot considers some of the prevailing worldviews in the West today, demonstrating that their foundational problem is a refusal to acknowledge Jesus Christ as Lord and King. As we think about and engage in witnessing to the gospel of the Kingdom, the heart and its attachment to cherished lies must be taken into account.